So you think that marlin you had mounted for the wall was big, huh? Well, it probably was for its species, but chances are good it wasn’t a third the size of the heaviest fish in the record books. 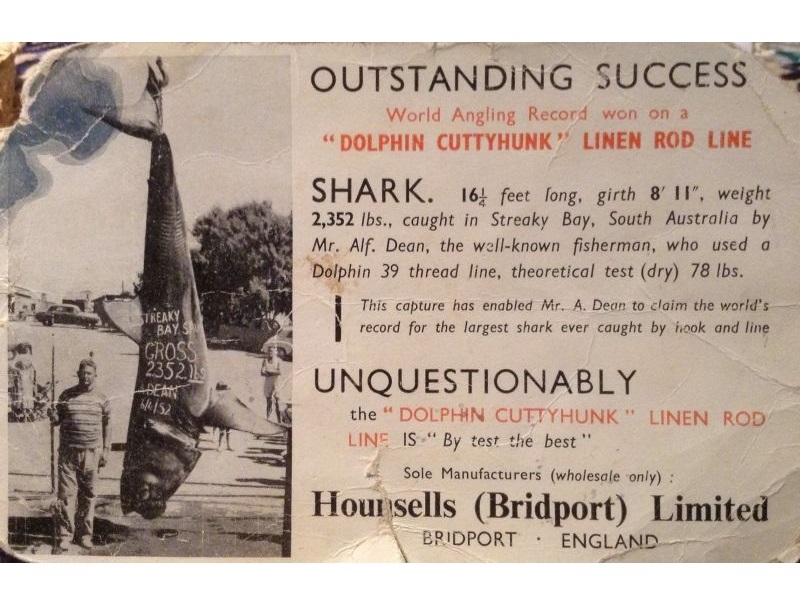 On April 21, 1959, Alfred Dean of Irymple, Victoria caught a 2,664-pound great white shark off the coast of his native Australia. Amazingly, he subdued this monster—the heaviest record fish ever listed by the International Game Fish Association—in only 50 minutes on 130-pound line. Dean also caught great whites weighing 2,333 and 2,536 pounds. A replica of Dean’s biggest catch can be seen at Bass Pro Shops Outdoor World in Grapevine, Texas.